The photographer made this image the western bank of the Genesee River, from what is now the picnic area between the Upper and Middle Falls. 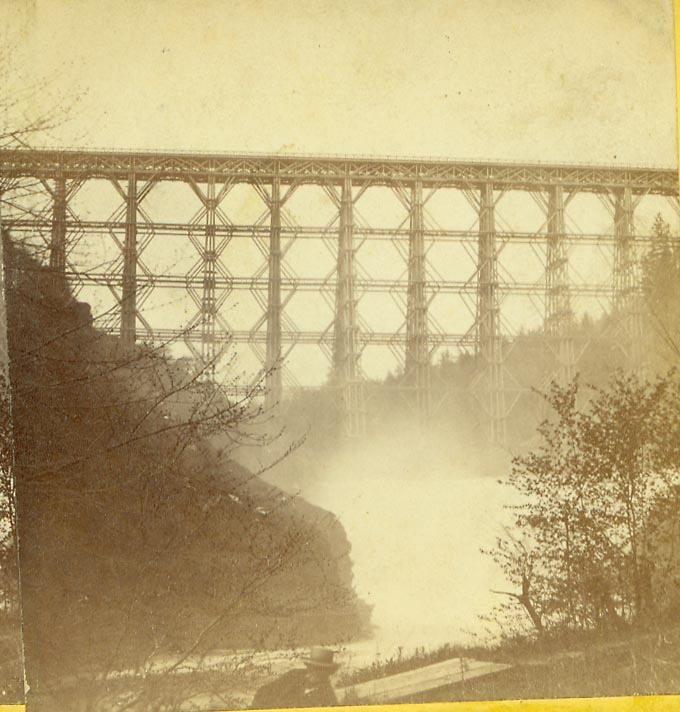 The photograph shows the Upper Falls and the Portage Wooden Bridge which carried the Erie Railroad across the Portage Gorge. The back of the stereocard has Knight's stamp and is dated June, 1867. The enlarged image below provides interesting detail of the Bridge.